Justice V. Chitambaresh of Kerala High Court has on Thursday(31/03/16) held that the practice of insisting a student to undertake the entire examinations for a mere failure in a single theory / practical exam is unreasonable and arbitrary. 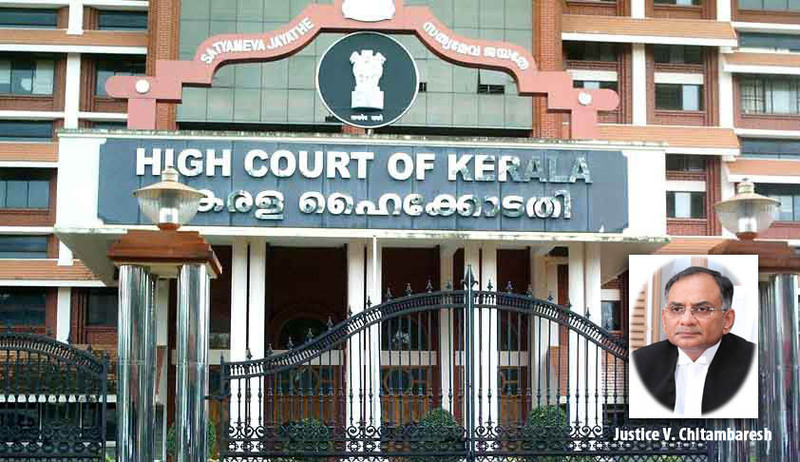 The Judgment[(Dr Geethu.S and another v Kerala University of Health Sciences and others) was delivered in a petition filed by two students along with some other connected W.P(c)’s which had been filed alleging inconsistency between the regulations fixed by Kerala University of Health Sciences(KUHS) and Medical Council of India(MCI).The petitioners were not declared successful in the Post-graduate Medical course for the reason that they had failed to secure the minimum marks in one of the four theory papers or in one of the clinical/practical tests. They further challenged the condition in the KUHS regulations ,which insisted that to secure a pass ,they had to undertake the entire examinations including the whole subjects/theory once again. The challenge in the Petitions were on two counts. Firstly, that the regulations of the university were inconsistent with regulations prescribed under the M.C.I. Secondly, it required any student who failed in a single theory or practical exam to again undertake the entire examinations to secure a pass. Justice Chitambaresh, on a thread analysis of the both the regulations, noted that the one prescribed by the M.C.I did not mandate for obtaining minimum marks as a separate pass both in theory and practicals. The court arrived at a such a conclusion painstakingly on its own , even though none of the candidates had impugned the same. The court opined :-“MCI Regulations do not explicitly state that a candidate should secure a minimum of 50 percent marks in the theory and practical simultaneously in order to be successful as in the KUHS Regulations in which case only there would be a direct conflict. KUHS Regulations on the other hand explicitly state that a candidate should secure a minimum of 50 percent marks in the theory and practical simultaneously in order to be successful which is absent in MCI Regulations. The inevitable conclusion therefore is that there is no direct conflict or repugnancy between the MCI Regulations and the KUHS Regulations in the prescription of a simultaneous minimum. But one cannot lose sight of the fact that a candidate could be declared as 'passed' if the MCI Regulations are adopted and at the same time declared as 'failed' if the KUHS Regulations are adopted. The KUHS Regulations are not consistent with or in conformity with the MCI Regulations in the matter of prescribing a minimum of 50 percent marks in theory and practical simultaneously in order to secure a pass in the examinations.” It was further observed as follows:-“ The fate of the students should not dangle on the basis of such nebulous or slippery words and it is only fair that the Medical Council of India clears the ambiguity by an explanation or amendment of the MCI Regulations.” The court then directed the Medical Council of India as to clarify expeditiously within a time frame, as to whether each candidate should simultaneously pass the theory and practical securing 50 percent marks in each ,which can then be incorporated in the KUHS Regulations appropriately. The court on a further interpretation held that the condition in the K.U.H.S regulations, which insisted a student to further undertake the entire examinations for a failure in a single theory/practical examination as arbitrary, unreasonable and violative of Article 14 of the Constitution of India,1950.The court held as follows :- “Repetitive undertaking of examinations after having secured the minimum prescribed does not scale up the standard and can only be termed as oppressive from the point of view of the student. The repetitive appearance in examinations under the KUHS regulations has no rationale nexus with the object sought to be achieved and is obviously violative of Article 14 of the constitution of India (equality before law)." The court then disposed the petitions, holding the KUHS Regulations as invalid, as the same was not notified in the gazette when the university statute (KUHS First Statutes, 2013) came into being.